Since the start of Qatar-Gulf diplomatic crisis, no significant progress has been observed regarding resolution of this issue. Almost four weeks has passed now since this crisis has emerged. Both Saudi led Bloc and Qatari authorities remained unshaken in their stands. Although both parties have publically expressed that they want this issue get resolved, for settling this rift none is willing for any sort of compromise. It may be a failure on part of mediating forces like Kuwait that they could not devise a balanced solution acceptable for both these old friends. Delay in finding any acceptable solution is not only increasing distances between Saudi led Block and Qatar but also enhancing current complexities of this issue. It is not uncommon that a few countries may take benefits of crisis. Here Iran and Turkey have started grabbing space in Qatar by taking advantage of this current stalemate. Prolonged rift is sowing seeds of lasting enmity among old friends. In my personal analysis of this issue, a few reasons has created a stalemate regarding resolving this issue. If these fault lines are removed then Qatar and its Gulf adversaries can be brought together on same page and they can be prevented from becoming foes from friends. First of all a term has been frequently seen from both sides ‘Non-Negotiable’. For example, Saudi foreign minister Adel al-Jubeir reiterates that list of 13-point demands to Qatar is non-negotiable. Qataris also say that their policies are non-negotiable. Qatar seems to be more worried because of this stand-off but it is focusing more on nullifying the allegations by Saudi led Bloc rather than paving a middle pathway to bury this emerging hatchet. It should be realized that issues can be resolved diplomatically only via negotiations. When things become non-negotiable, nothing can be done diplomatically. 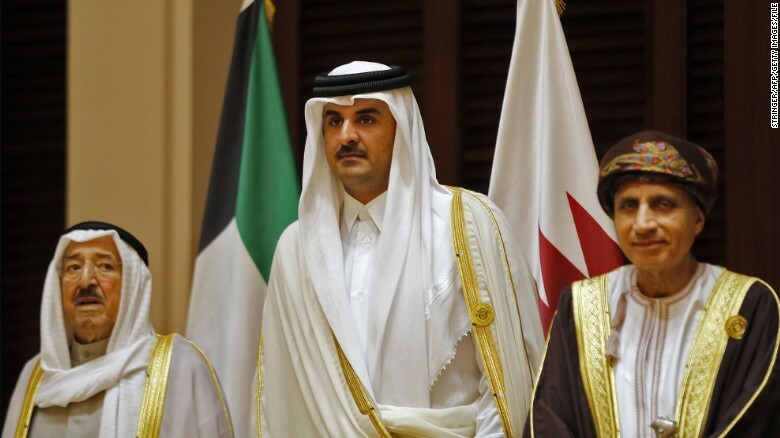 Qatar is relying heavily on third parties amid diplomatic rift. 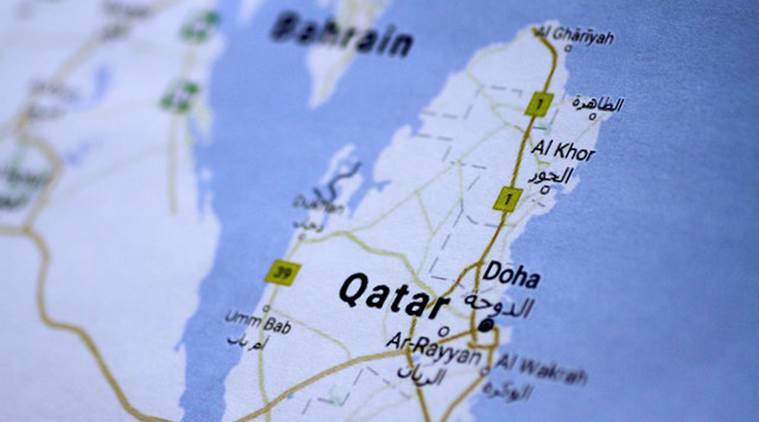 Qatar’s foreign minister Mohammed bin Abdulrahman Al Thani has asked members of the United Nations Security Council to urge a Saudi-led bloc of states to lift their blockade. Qatar’s transport minister has met twice this past week with the UN’s International Civil Aviation Organization (ICAO) at its headquarters in Montreal, Canada, asking it to intervene in the crisis. All these efforts are good in Qatar’s National Interest because Saudis are also trying to isolate Qatar globally in an effort to build pressure on Qatar but first of all Qataris should engage in direct negotiations with their counterparts either openly or via back-door diplomacy, and if back-door diplomacy is not yielding positive results then they can hire a new team of negotiators or advisers from anywhere in the world. Similarly, abrupt establishment of Turkish military base in Qatar has also complicated the situation. Kuwait’s mediation has not yet been proved fruitful. For mediation, other trust-worthy mutual friends should also be invited and trusted. Pakistan, Morocco and Turkey may prove beneficial for settling grievances of both countries. In any International Issue, demands put forwarded initially are not full and final. Saudi demands are too much aggressive. Saudis must realize that Qatar is not Germany of post world war-II or post world war-I, where Germany was forced to accept humiliating ‘Treaty of Versailles (1919)’ after its defeat in world war-I. Also, Saudi led Bloc is not equivalent in might to victorious Great Powers of World Wars. Qatar should also not be so rigid in its attitude. Qataris must not try to follow the example of Berlin Airlift. After world war-II, capital of Germany, Berlin, was divided into two portions. The United States, United Kingdom, and France controlled western portions of the city, while Soviet troops controlled the eastern sector. In 1948-49, for almost more than ten months, Soviet Union blocked the Western Allies‘ railway, road, and canal access to the sectors of Berlin under western control. The United States and United Kingdom responded by airlifting food and fuel to Berlin from Allied airbases in western Germany. Qatar alone will be in terrible situation if it has to rely on airlift for food, medicines and other necessities for long. Saudi demands may be modified or cut short only via negotiations and hence a respectable solution for both sides can be reached. Saudi’s demands are such that if Saudis do not show flexibility then any International Relations expert can clearly predict that these demands will not be accepted in letter and spirit by Qatar. These demands seem just to fulfill a formality to cut off ties with Qatar permanently. Elements of respect and honour are missing in these demands, and respect and honour can be brought in only by flexibility from both sides via effective diplomacy. Throughout world Intergovernmental International and Regional Organizations are established to solve such issues, but here role of Organization of Islamic Cooperation, Arab League is questionable. These organizations are meant for only organizing scheduled conferences or they have something better to resolve such conflicts. Moreover it can be easily judged that both Saudis and Qataris are taking abrupt emotional decisions rather than cool and wise decisions. These decisions are adding fuel to fire. If wise decisions are not taken then a mini cold war or proxy war like situation similar to Syrian War may engulf Gulf region in late future because Qatar is tilting towards Iran, Russia and Turkey. And Saudi led Bloc is backed by United States. All GCC countries including Qatar have developed such great policies internally for their people that most of the people stand with their Governments whatever their government decides. Their people trust them but regarding Foreign Policy, International Issues and especially with changing circumstances after Arab Spring, their decisions are not wise enough to tackle the upcoming challenges. Back-door diplomacy, flexibility and a will to take harsh decisions for unity among GCC countries is terribly required before it is too late!